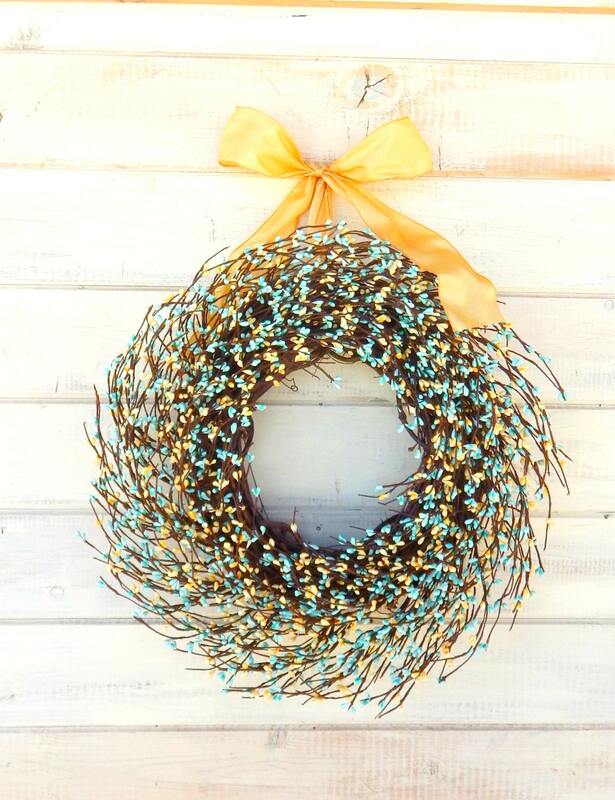 Teal Blue & Light Yellow Berry Wreath...Perfect for your Spring & Summer Home Decor !! Beautiful and smelled amazing! 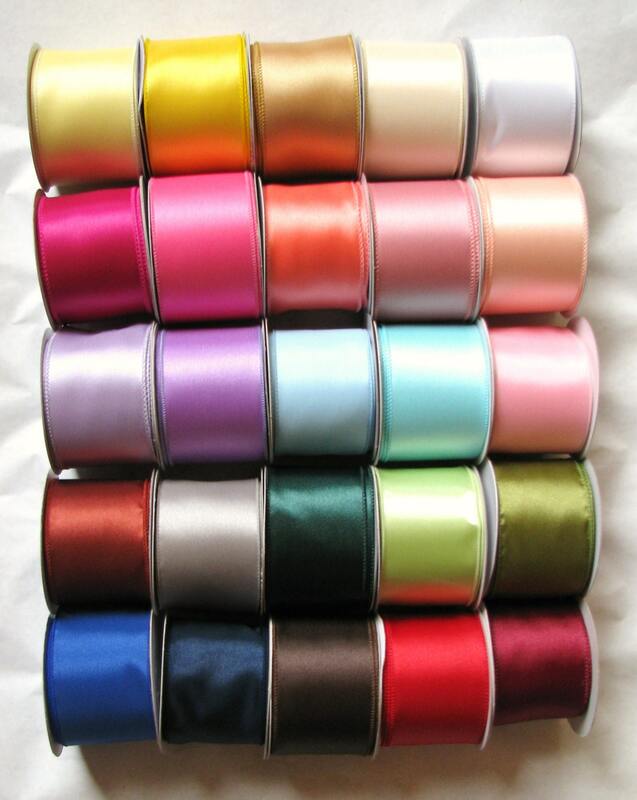 Would order from this seller again!! 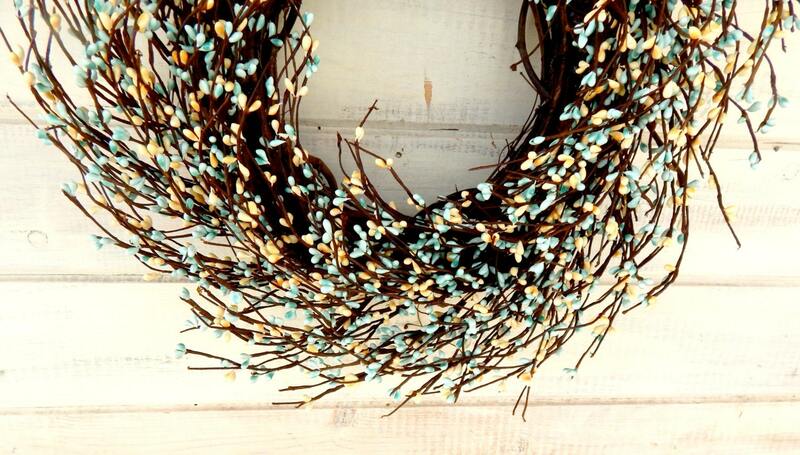 What a beautiful wreath! The tulip scent that I selected is the perfect Spring scent. One thing I should have thought of though - my wreath will be hanging indoors...so the scent is quite strong for indoors. 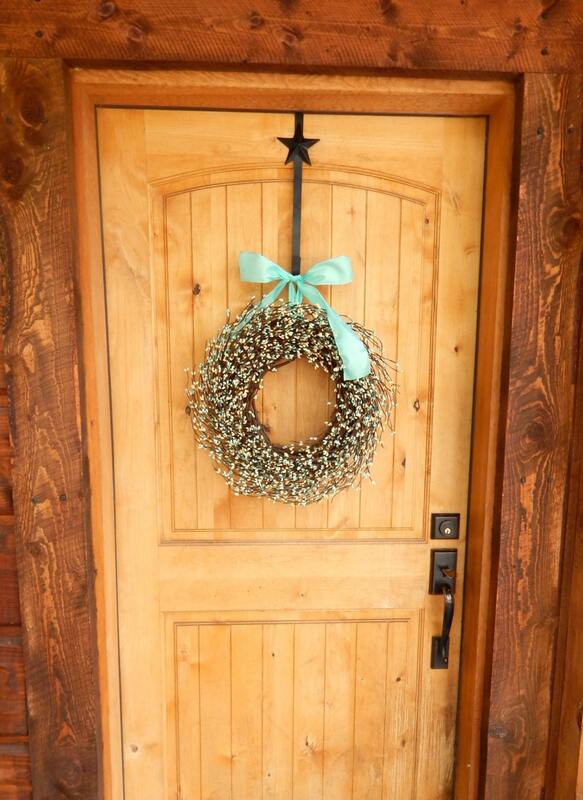 If it were an outdoor wreath the scent would be perfect. I probably should have gone with unscented or at least requested a lighter scent - that was my mistake. 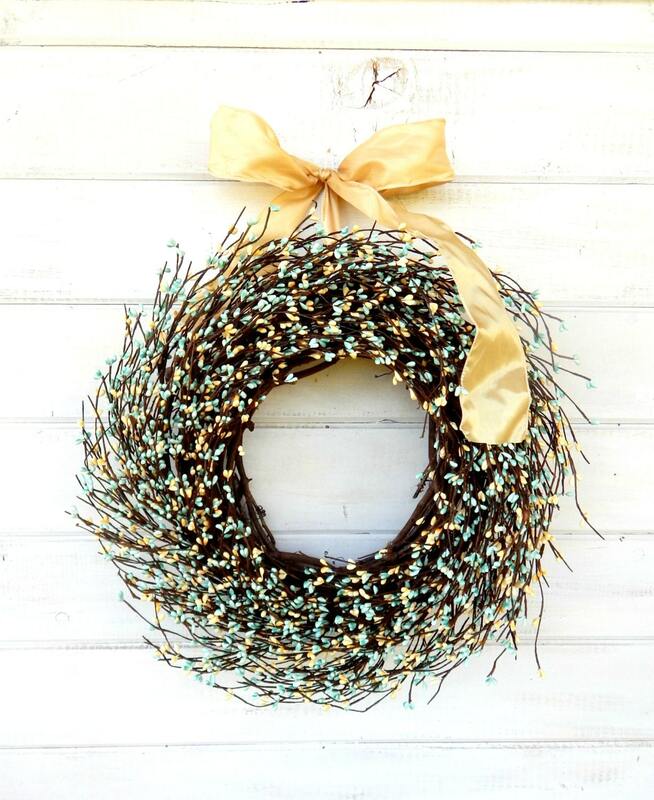 Other than that, the wreath arrived in perfect condition, smelled beautiful, and will look amazing with my Spring Decor. Thank you! ***Update: After letting the wreath hang for a day or two, the wonderful Tulip scent filled every single room of my house. It's light, and perfect. Each time I walk into the house it smells like spring. So I retract my previous statement, despite it being an indoor wreath, I'm glad I got it scented. It's wonderful! Thank you!